"The Juggernaut" is ready for his American debut. 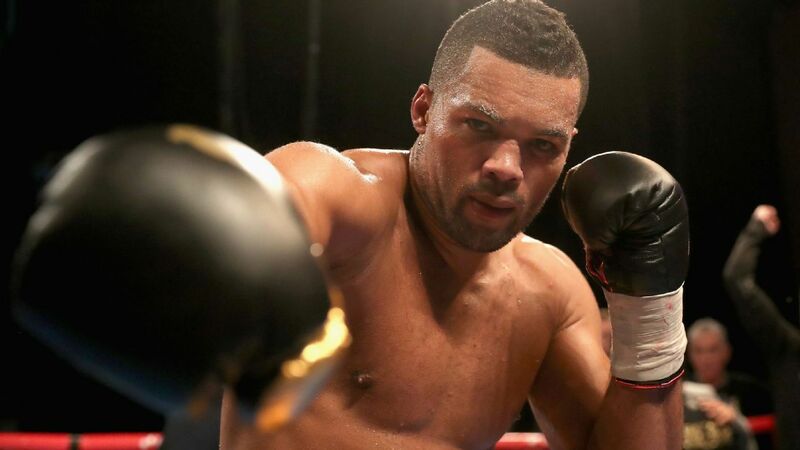 Joe Joyce, the 2016 super heavyweight Olympic silver medalist for Great Britain, will fight in the United States for the first time on Sept. 30 in what figures to be the sternest test of his brief professional career. Joyce, who lost a controversial decision in the gold medal match at the Rio de Janeiro Olympics to France's Tony Yoka, will face battle-tested Iago Kiladze in an eight-round bout that will be part of the Premier Boxing Champions-televised card (Fox Sports 1 and Fox Deportes, 9 p.m. ET). The card is headlined by the previously announced welterweight bout between former world titleholder Victor Ortiz and John Molina Jr. at the Citizens Business Bank Arena in Ontario, California. The 6-foot-6, 250-pound Joyce (5-0, 5 KOs), 32, who is on the fast track given the late start to his pro career, will be in his first fight since moving his training base from England to Big Bear Lake, California, to work with renowned trainer Abel Sanchez a couple of months ago. "I am very happy to introduce 'The Juggernaut' and his exciting style to the U.S. fans," Ringstar Sports CEO Richard Schaefer, Joyce's promoter, told ESPN on Tuesday. "I'm sure he will be a force to be reckoned with in the heavyweight division. He is with Abel Sanchez, one of the best trainers in boxing, and I can't wait to unleash the beast on Sept. 30. "It's Joe's first fight with Abel and the first fight in the U.S., so I'm really excited to see him with Abel in the corner." Joyce, whose first five bouts took place in London, said he's happy to now fight in the United States and feels comfortable working with Sanchez, who he hired to replace Ismael Salas. "I have a plan and a goal to get where I want to be to win a world title," Joyce said on Tuesday at a media lunch in Los Angeles promoting the card and announcing he would be part of it. "I've settled in at Big Bear and it's like my second home. I'm just looking forward to making my American debut and showing the U.S. fans my style and putting on a really good show and a strong performance. Stay tuned. Watch my progression in the U.S., because I'm going to be heavyweight champion of the world." Kiladze (26-3, 18 KOs), 32, a native of the Republic of Georgia fighting out of Los Angeles, has lost two fights in a row, a sixth-round knockout to up-and-comer Adam Kownacki in a brutal slugfest in January followed by a fifth-round knockout to Michael Hunter on June 10, but he is easily the best foe of Joyce's career. "I've looked at Kiladze's record and he has a good knockout percentage and he has a lot of good experience," Joyce said. "He's a strong guy but I'm just going to have to look a little more closely and work out his strengths and weaknesses and capitalize on that." Said Kiladze: "I have a very good and strong opponent but I am in great shape and I've had an incredible training camp. I'm ready to go and I know I'm going to come out with the victory. Los Angeles is my adopted home and I love being able to fight here with those close to me watching. It's going to give me more motivation to win this fight and help once fight week comes. "I don't worry too much about what my opponent has accomplished but I am mostly preparing myself to be my best. My team will have a great plan to guide me to this win on Sept. 30." The card will also include featherweight Brandon Figueroa, the younger brother of former lightweight titlist Omar Figueroa Jr., against former interim featherweight titleholder Oscar Escandon in the scheduled 10-round co-feature. Escandon (25-4, 17 KOs), 34, of Colombia, has lost two fights in a row, including by seventh-round knockout to featherweight world titlist Gary Russell Jr. in May, but he is still a step up in competition for Rios (16-0, 11 KOs), 21, of Weslaco, Texas. Two other blue-chip prospects will also be featured on the card in six-round fights against opponents to be determined: lightweight and 2016 U.S. Olympian Karlos Balderas (6-0, 5 KOs), 22, of Santa Maria, California, and heavyweight and 2016 Nigerian Olympian Efe Ajagba (6-0, 5 KOs), 24, who now fights out of Houston, where he is trained by Ronnie Shields. The fight will be Ajagba's first since the bizarre situation on Aug. 24 in Minneapolis on another PBC on FS1 card when his opponent, Curtis Harper, walked out of the ring rather than fight when the first bell rang, and Ajagba was awarded a first-round disqualification victory. "I am going to have to tell Efe not to look at his opponent too much. I don't want him to scare the opponent away again," Schaefer said with a laugh. Junior middleweight prospect Joey Spencer (4-0, 4 KOs), 18, of Union City, California, will also be on the card in a four-round match against an opponent to be determined.